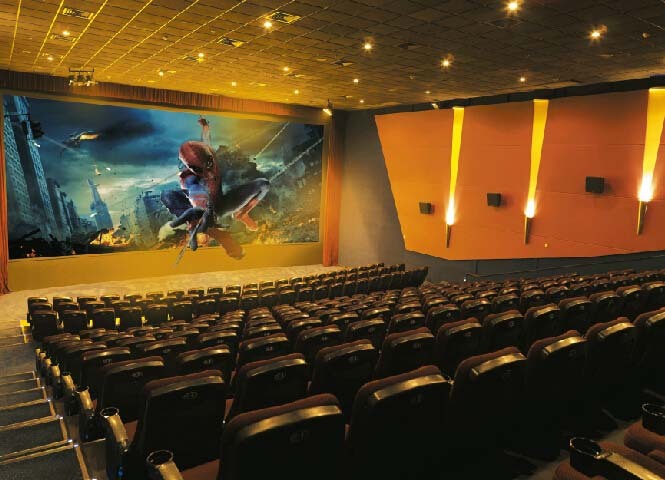 3D Cinema System_ShenZhen Snowhite Technology Co., Ltd.
3D Theater is an emerging special cinema internationally at present with the highlighted main, high technology, lifelike etc. In the process, the audience ecperience that various objects are blowing to them, like being in a real video environment with hi-tech bringing new experience. SNOWHITE 3D Theater is passive tridimensional cost-effective solution, transfer the input 3D signal to two passive output signals. Delivering single left, right eye signal to two projectors, like LCD/DLP ones. Then watching by 3D glasses, high quality 3D image can be displayed. Passive 3D image usually uses two projectors, one for left eye image, another one for right eye image, then project the two images on the screen at the same time. Put polarizing plate before the projector lens, transfer projected light to polarizing light. Also audience wears polarized 3D glasses. Polarizing plate is in the same direction for both projector lens and glasses. Perform the 3D image for audience. Virtual reality makes the viewer to experience personally, much more persuasive than empty abstract preaching. This interactive, immersive feeling has difference on quality from the viewer to interact initiatively with the passive viewing. Use imported flexible HD material, low reflection, high contrast, a new generation home applied video upgraded screen. Fine uniform optical structure, makes the image clear and natural. Aluminum flocked frame, trendy fashion, easy installation, multiple color choice. Excellent acoustic transmittance, perfectly combination of audio and video. Applied to different places: Home Cinema, Small Theater, etc.